Ni no Kuni: Wrath of the White Witch is both everything that’s wrong with and wonderful about Japanese roleplaying games. 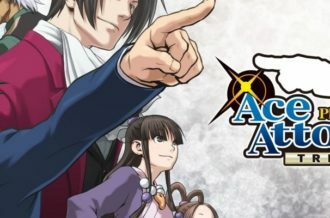 Make no mistake, though, this is hands down one of the most refined titles of its kind, and quite possibly the best JRPG we’ve seen in years; of course, that’s not saying much. Truth be told, the game is not without its share faults, and not quite as perfect as some will lead you to believe. 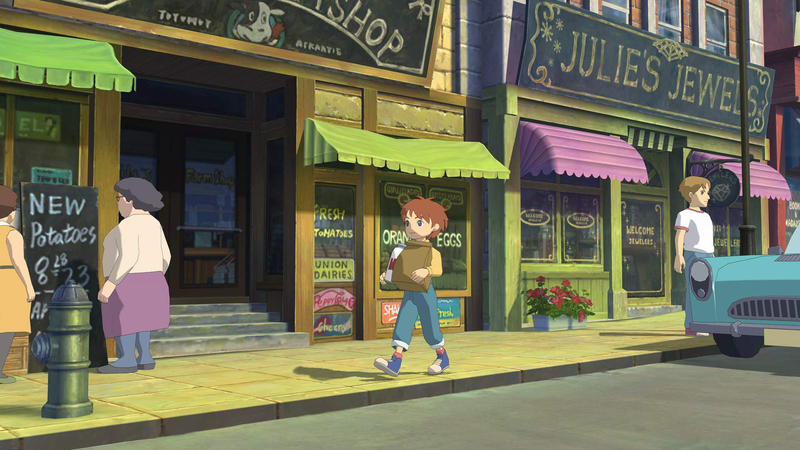 Ni no Kuni tells the tale of Oliver, a young boy from the town of Motorville whose mother dies trying to save him. 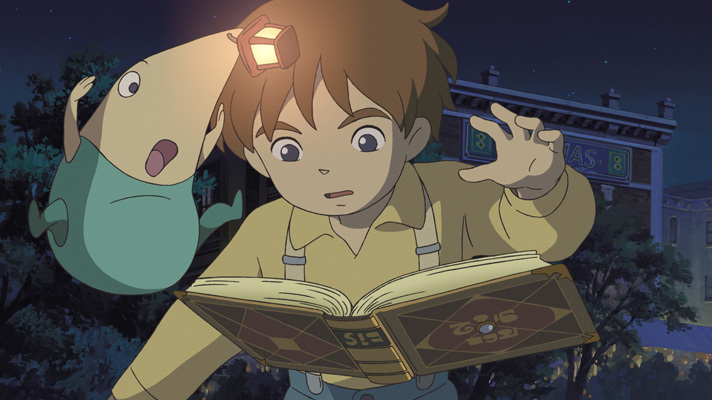 Upon her death, Oliver finds out that a parallel world named Ni no Kuni, a fantastical mirror-imagine of his own, exists. In learning about this place from his pet doll, who just so happens to come to life after his mother passes and reveals that he’s not a doll at all, rather “Lord High Lord of the Fairies” in Ni no Kuni, Oliver is told that all people have, what is called, a Soulmate. A Soulmate is the doppelganger of someone who exists in Motorville, in this other world. Thus, Oliver is informed that his mother too has a Soulmate, and could be saved by contacting her. Fueled by ambition and love, Oliver quickly learns to wield magic, and is then whisked off through a portal to Ni no Kuni. This is just the beginning of Oliver’s 40 hour adventure, and arguably the most charming part of it. Over the span of the game’s story, he will encounter all sorts of perilous situations and be asked to rise above the challenge whenever one is presented. The problem with Ni no Kuni’s narration isn’t its lack of imagination but rather how painfully slow it unfolds. Players won’t get into the meat of the plot until about 20 hours in, which means that half the game feels like irrelevant fetch quests that don’t hold any upfront, apparent meaning. There’s a payoff in it when everything starts to come together, but up and to that point, it feels draining and downright boring. The fact that the game’s characters, outside of Oliver and his fairy sidekick, Drippy, aren’t well developed or all that interesting, dooes absolutely nothing to keep players’ attention either. To make matters worse, Ni no Kuni follows a slew of JRPG clichés in terms of storytelling, so almost all plot twists and climaxes can be spotted hours away. This too doesn’t help the mundane pacing. Fortunately, when the plot finally picks up, characters begin to shine and Oliver’s bravery and never-give-up attitude become endearing. By the end of the game, it’s hard to not fall in love with the little guy simply because he’s so fragile, yet so strong, making him one of the genre’s most lovable, admirable protagonists. So, really, Wrath of the White Witch isn’t a game players will want for a ground-breaking, riveting story. Instead, what they should be in it for are the battles and Pokemon-like creature collecting. Like Pokemon, players will do battle with a variety of enemies in dungeons and on the overworld map. In these battles, players have an opportunity to essentially catch the fought monster, name them and then use them as their ally in combat. Monsters can level up, learn new moves, equip armor, evolve and do just about anything else one can imagine. This part of Ni no Kuni is just downright robust. Collecting each monster (there are over 300) and molding them into the fighter needed on the battlefield feels extremely satisfying and personalized. But it’s not just about the hunt; it’s about using these creatures, called Familiars, in actual battle. 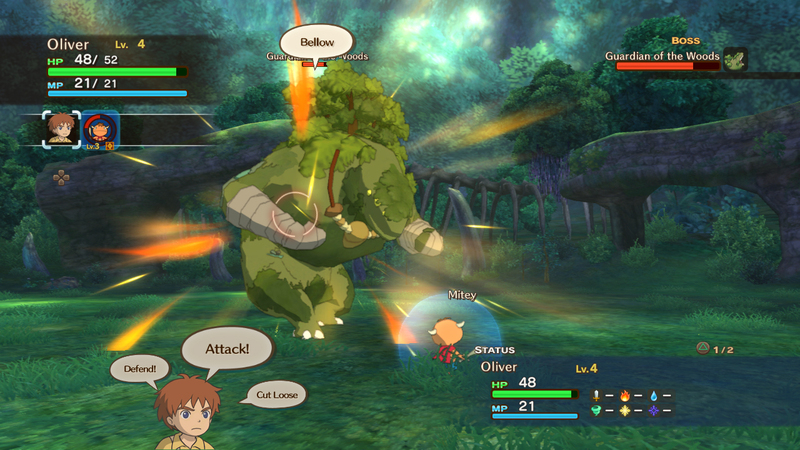 Ni no Kuni employs a fairly traditional, but wholly solid active-battling system in which players can attack with one of three human characters or with the three Familiars each character can bring into battle with them. So not only do story characters level up, have their own unique abilities and offer specialized attacks, but swapping between them and their Familiars is necessary to win battles, and better yet, is done with decent ease. At first, it seems like a series of confusing prompts is needed to jump back and forth between all the available combatants, but it becomes easier in time. And one will need to make use of every command at their disposal because Ni no Kuni is a hard game. Enemies, even the most basic ones, can wipe entire parties. Thus, it’s not always best to let one’s AI comrades do their own battling. 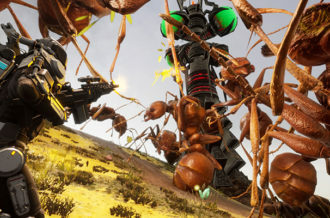 Because the AI simply isn’t all that efficient in combat, players must learn to use all they are given on the battlefield and jump to and fro between characters to ensure their safety, and to ensure they’re using effective attacks. This generally poor AI is the downfall of combat, but nevertheless makes for some exciting situations given how much jumping around one must do. In fact, on the whole, the battling is pretty deep. Between all the attacks, spatial orientation matters to consider and making sure to exploit elemental weaknesses by pairing superior Familiars with weaker, opposite element-aligned foes, there’s much to factor into the game’s every encounter. 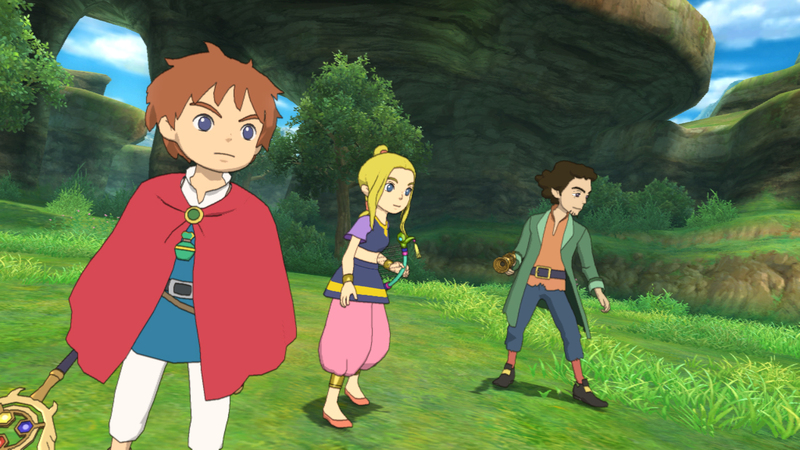 Outside of the combat and main story missions, though, there’s plenty else to do in Ni no Kuni. A plethora of sidequests and mini-games are sprinkled throughout, so taking a breather from the plot always seems encouraged. The game even incorporates a rather rudimentary, but effective alchemy system that emphasizes scouring locations for items and recipes, to create some of the more potent items and weapons. 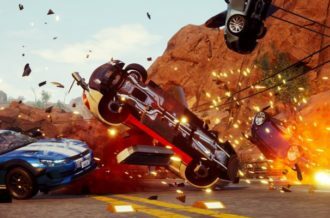 But coming this far in the review, and not talking about the game’s top-notch presentation, feels borderline criminal. Thus, let’s put it out there now: this game is a masterpiece of terms of cinematic design. From the graphics to the soundtrack, Wrath of the White Witch is rich, beautiful and alive. For starters, Studio Ghibli brings to the table their patented visual design, giving players a world ripe with aesthetic grandeur. The hand-drawn cutscenes are what really take the cake here, reminding everyone that the famed Japanese studio is at the top of their game and industry. Alas, there just aren’t enough cutscenes; fortunately their style translates beautifully to the in-game graphics, which are as vibrant as anything on the market. Ni no Kuni’s sound is also breathtaking. The soundtrack is sweeping, heartfelt and emotionally moving, hitting all the right notes at exactly the right time. In fact, the score is so well conceived, that it often feels like some of the story segments would fall rather flat without the accompanying overture. It’s not just about the music, however, it’s about the brilliant voice-work as well. In many Japanese games, when there’s an English dub, players cringe at how awful the voice-overs can be. Gladly, that’s not the case here. In fact, Ni no Kuni’s English voice actors deliver grade-A performances, so much that I played the entire game with them on – that should mean something coming from an audio snob who usually only prefers Japanese audio tracks only. Wrath of the White Witch isn’t all rainbows and unicorns, though. No, it has its shortcomings beyond those already mentioned. For starters, there are a few glitches to be found, including one that rendered a boss immovable in battle, making my encounter with him extremely easy, as he was stuck and could not fight back as I whaled mercilessly on him. The interface could also use some work, primarily the combat interface which just looks a bit awkward and clunky. 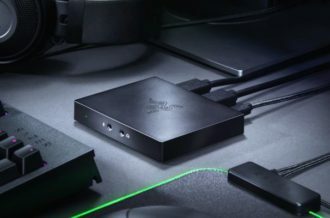 Most disappointing, however, is the lack of any kind of multiplayer feature. For a game that is all about collecting creatures, there’s no trading or battling between players to be found. This, if nothing else, feels like a missed opportunity. It’s also worth noting that this game rigidly sticks to JRPG conventions, so if players are looking for an experience that doesn’t follow the explore-a-town-get-a-quest-loot-a-dungeon-rinse-and-repeat formula, they won’t find it here. 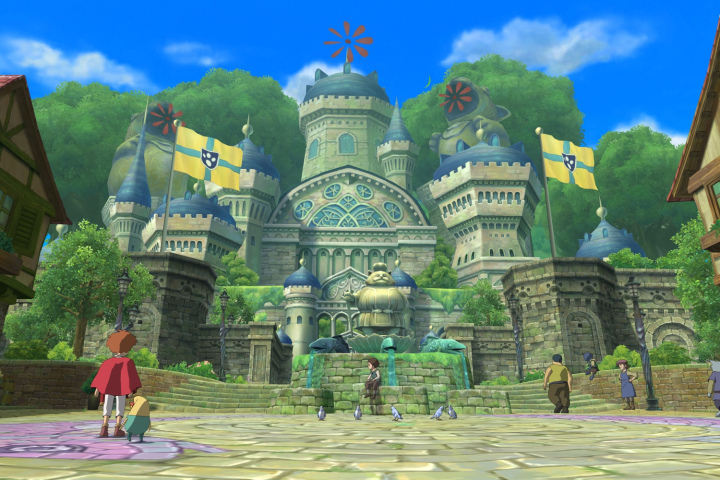 When all is said and done, Ni no Kuni is held back by the conventions that make it so likable. In truth, its biggest challenge from the beginning was overcoming itself and the hype that formed from knowing such a powerhouse duo was responsible for its creation. It’s an absolutely wonderful JRPG, but one that isn’t anything you haven’t already played in the last two decades. 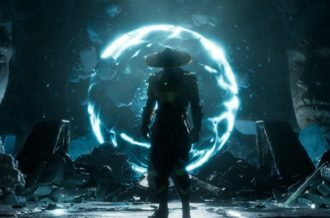 It’s polished, has a beautiful coat of paint, solid battle mechanics and an addictive creature-collecting component, but its story and characters ultimately feel lackluster, clichéd and disappointingly shallow. This mixed with AI problems, some glitches and an over-reliance on played-out concepts makes Ni no Kuni: Wrath of the White Witch a great JRPG, but overall, only a good game.